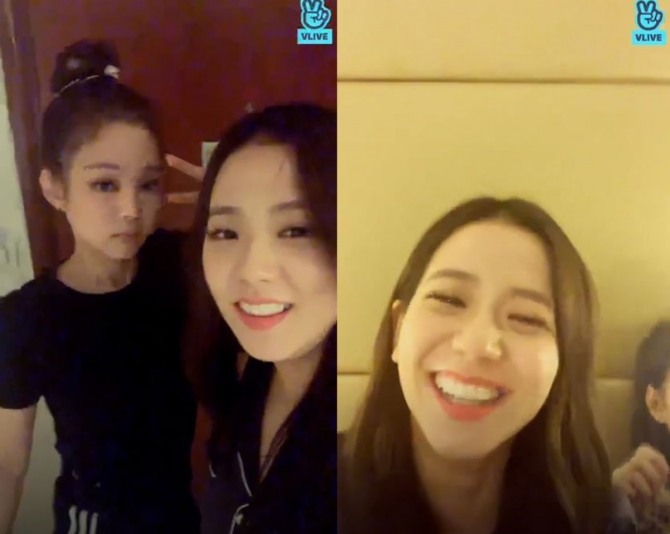 Blackpink’s Jisoo and Jennie spent some quality time with fans via V Live at their hotel room in Manila. “What’s up with you guys? I’m now lying down on my hotel bedroom after wrapping up our concert in Manila. It’s 11 p.m. here,” said Jisoo in the video uploaded on Saturday night. Comfortably lying on the bed, she requested fans to ask her extraordinary questions about her and she received various questions about her favorite food, ear piercings, hairstyle, makeup and her daily life. “Touring around the world, I think there’s no single country where we haven’t eaten chili crab. Actually, I ate chili crab today as well. I’m full,” she said. Jisoo also shared that she is considering to get another piercing on her ears and that she uses an eye makeup remover from a cosmetic brand called Kiss Me, which she has been using for a long time. She was also asked if she watches JTBC’s hit drama “Sky Castle" and the Blackpink member said she was still on its seventh episode. “It was me who recommended other members to watch the series and now they are watching it without me. I haven’t watched it for a long time, as I want others to watch it with me,” she said. 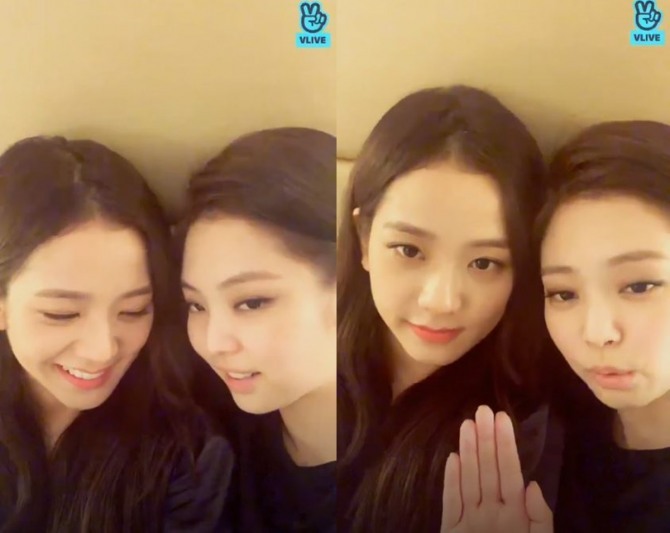 Halfway through the broadcast, Jennie, who was in the other room, joined Jisoo. Jennie, who caught a cold, was spotted taking her medicine and coughing, but she told viewers not to worry about her. Together, the girls played jokes on each other, with Jennie correcting Jisoo's English and Jisoo making her laugh with broken English. They wrapped up the hourlong video by heralding the group’s upcoming performance at the popular American festival Coachella Valley Music and Arts, set to be held in April. “It’s in two months and we are very nervous. We still can’t believe it but it’s happening,” said Jennie.